An agile data center shouldn't mean compromised service, but new technology adoption isn't an easy process. First you need to develop a strategy, then you need to make a business case, then you need to roll out a smooth implementation and finally you need to layer security, compliance and management considerations into your stack. Cloud and hybrid data center technologies are hitting the mainstream with the majority of IT leaders rating cloud to be a priority over the next two years. 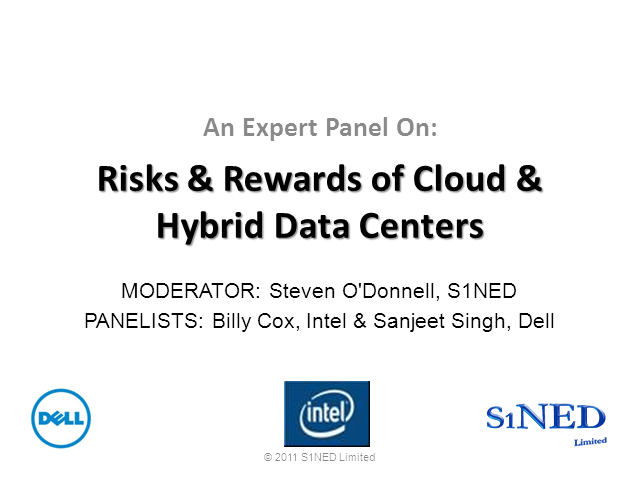 This panel of experts will take you through the pros, cons and key questions for those who are evaluating cloud and getting started with their datacenter transformations. Key topics will include data storage, security, consolidation and integration and deployment techniques.